If you’re considering the PhuketSpace apartments for rent in Rawai, you might want to know a little more about Rawai Beach first. Rawai Beach is at the southern end of Phuket, between Chalong Bay and Promthep Cape. 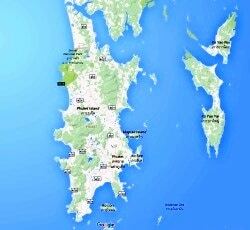 Historically, Rawai is an important place in Phuket, as it was the very first tourist beach on the island. Years ago, people from Phuket Town would drive the 17km to Rawai on weekends to while away the afternoon underneath the beach’s casuarina trees rather than drive over the hill to Phuket’s west coast. 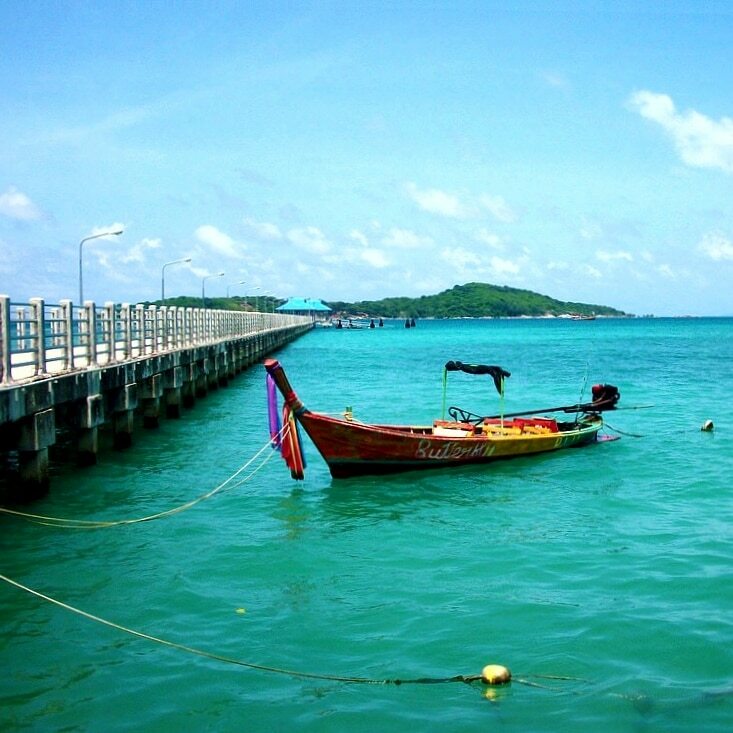 Nowadays Rawai is a working beach and a launching point for day boat excursions out to Phuket’s surrounding islands. Longtail boats and speed boats are available for hire on the beach, where you can arrange a trip to Coral Island, Koh Lone or Racha Island, or a fishing or snorkelling trip. More details of the islands near Rawai here. The beach is also used as a mooring point for the fishermen who live in the area, many of whom sell their catches daily in a small market near the pier. Rawai is home to the the five-star resorts Evason, Vijitt and Mangosteen and quite a few of Phuket’s foreign expat population live in the area, lending a laid-back flavour to the way of life there. Although it is possible to swim at Rawai beach, the vbest things about Rawai Beach are the plentiful Thai food beachside restaurants, and the friendly local bars. You’re spoiled for choice when it comes to eating out in Rawai, with plenty of culinary options available not too far from our Rawai apartments. You can enjoy amazing, authentic Italian food at Meggi and Mario’s with their amazing pizzas, exquisite French cuisine at Bleu et Blanc or an exquisite Mediterranean menu at L’Orefo. For ardent carnivores, there’s always Norbu’s Steakhouse. If you fancy some local Thai food there are plenty of places to eat locally, including Moo Restaurant, just around the corner from the PhuketSpace Rawai apartments. For a quiet drink and excellent food a few feet from the sea, the ever-popular Nikita’s Bar is the perfect spot, or if you’re looking for something more lively, Freedom Bar is just down the road. While providing plentiful amenities for visitors to enjoy, it doesn’t lose the feeling of being very much a ‘Thai’ village. It’s convenient to get about Rawai Beach. All PhuketSpace Rawai apartments are within easy walking distance of numerous shops, bars and restaurants. Our studio apartments in Rawai start at just 7,000 baht per month. Scroll further down the page for a map showing the location of the apartments for rent in Rawai, or click the “Premium Rawai Apartments” or “Standard Rawai Apartments” button below or at the top of the page for more information for details of our Rawai apartments.